On today’s episode of Dynamite In Brain, we tuck into a bumper sized helping of Astro Boy. 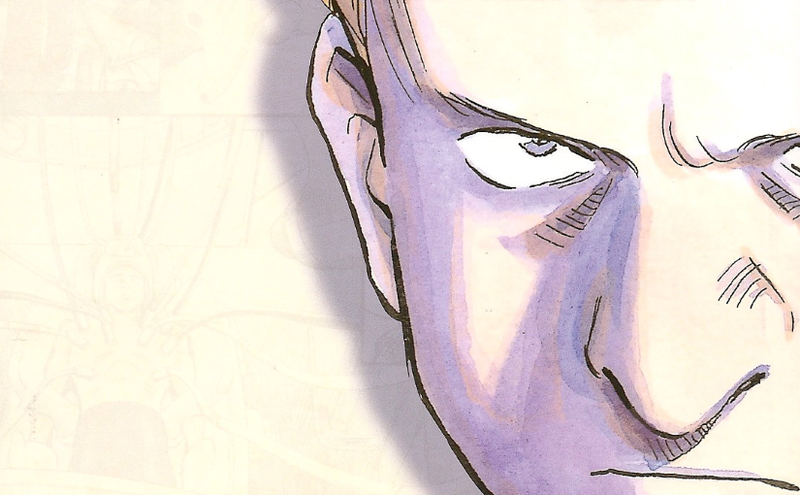 Our main topic is the manga Pluto, Naoki Urasawa and Takashi Nagasaki’s adaptation of Osamu Tezuka’s Tetsuwan Atom/Astro Boy story, “The Greatest Robot In The World”. Before we get to that, we introduce the replacement for our now defunct Weekly Retro Recap segment. Most weeks we are now going to look at an episode or two from a classic anime that will, in some way or other, tie into the main topic of the show. So this week we watched the very first episode of Fred Ladd’s 1963 localisation of Osamu Tezuka’s Tetsuwan Atom, “Astro Boy”. Then we watched the animated adaptations of “The Greatest Robot In The World” from the 1980 and 2003 Astro Boy series. On top of all that, we also read the Dark Horse release of original manga story. So join as we discuss all things Pluto in The Greatest Podcast in the World! “There appears to have been a misunderstanding over the nature of the order from NBC Enterprises. Its investment ensured that Astro Boy brought in $10,000 per episodes, adding roughly 300,000 yen per week to Tezuka’s revenue. The fifty-two episode (i.e. year-long) order guaranteed revenue of 54.6 million yen from Japanese and American TV rights, but would only pay for roughly six months of completed episodes. Tezuka assumed that fifty-two episodes was merely the first tranche of an ongoing order, wereas NBC Enterprises saw no need to go beyond an initial order of fifty-two episodes, believed to be more than enough to repeat indefinitely. As a result, Mushi Pro’s (Astro Boy’s Studio) sales agent arrived in the US to negotiate on the next year’s order, only to find that NBC Enterprises has no intention of buying it. Fred Ladd claimed Mushi Pro was now so dependent on the revenue from America that it threatened to sell the next fifty-two episodes of Astro Boy to a rival, forcing a compromise in which NBC Enterprises agreed to fifty-two more episodes. Future deals specified fifty-two episodes in the original contract, limiting the commitment from NBC Enterprises to a single year. NBC Enterprises would go on to order Mushi Pro’s next work, Jungle Emperor (Kimba the White Lion), but there were many compromises forced on the production in terms of content.